Resident Evil 2 has topped the UK sales charts – over 20 years since it last achieved the same feat. 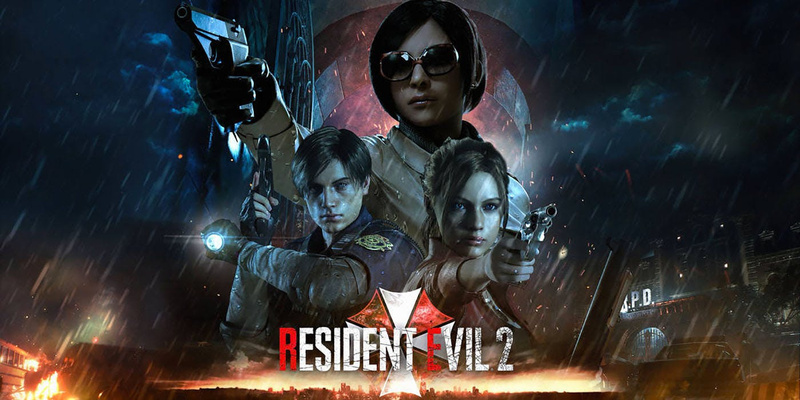 Capcom’s critically acclaimed remake couldn’t outperform the excellent Resident Evil 7: Biohazard, although it did still fare admirably at retail – especially when you consider that the 2017 survival horror launched on a Tuesday compared to the latest release's Friday. As always, this data only tracks physical sales. Nevertheless, the game performed best on the PlayStation 4 by a country mile at retail, with Sony’s system commanding a dizzying 74 per cent of the sales. It’s going to be fascinating to see how Kingdom Hearts III fares next week, because we’re expecting an even higher split for the Disney-themed role-playing release. The rest of this week’s charts are pretty uneventful, with Ace Combat 7: Skies Unknown nose-diving from second position down to sixth place – despite a respectable 51 per cent week-over-week decline. Games Industry.biz also notes that two PlayStation VR titles made the Top 40: compilation game PSVR Worlds (27th) and the outstanding Astro Bot Rescue Mission (38th). It’s great to see the headset continuing to truck along. Nice. Well deserved for a great game. Surprised it didn't beat RE7. Either way, it's a great game. High replayability, loads of unlockables and tight, super intense gameplay. Praying for an RE3 remake announcement in the coming months. @OmegaYato Not really, they're a lot closer than people realise in the UK. Good for Resident Evil 2. I’m glad I was able to get it over the weekend. And of course, GTA V comes and goes on this list whenever it darn well pleases lol. It's brilliant but I'm glad I got the PC version. 60 FPS on maxed out graphics on a laptop really shows that Capcom put in the effort this time around. Hopefully badly optimised ports become a thing of the past. Playing for the first time and it’s a great game. About the sales, it feels right to play Resident Evil on PlayStation, and all the multiplats sell better on PlayStation as well. I'm here just to marvel at the magic that's GTA5 is sales. Cheers. @Neolit going by some numbers ive figured, every person on the planet owns at least 3 copies of gta5. RE2 is what a "remastered" should be like. It's good, but bear in mind there are twice as many PS4s out there as Xboxes, at least worldwide - I know this is UK only but I'd expect a similar split worldwide. @Agramonte it's a remake not a remaster. A remaster isn't meant to be a remake, if you remaster a film you clean up the image and use a high res source for the bluray. Totally different from remaking the whole film with new actors etc. With the increasing use of online purchases I wouldn’t be surprised if it is a lot closer to RE7 in sales if not exceeding it. Weren’t we supposed to be getting digital sales shown as well this year? When is that starting? Nice, I hope this is enough proof to publishers and investors that Survival Horror is not a dead genre. @Matroska : it's about 1.3 to 1 in the UK.. it much closer than the worldwide number. though the only games that seem to perform that closely are shooters. BF V actually did better at retail in 2018 on XB1 by about 4000 copies. FIFA which I thought would have been close, was almost 2:1 in favour of PS4.. all that champions league advertising must be money well spent. @ThroughTheIris56 Nah. The success of a single game is never enough proof for anything, especially if it's a remake, so sales are affected by nostalgia. Crash could have come out last year for the first time and "no one" would have given a damn. It did well because of nostalgia and everyone who had already played it talking about it. Games with animal protagonists haven't done well in quite a while. As for Survival horror, it may be more popular but no serious conclusions can be drawn from RE2. @get2sammyb When are we getting digital sales included? I thought Chart Track was including them from this year? That article pic is so Star Wars. @Matroska you counter-arguement is based on world wide sales. This article is about UK, where the hardware sales of both, PS4 and Xbox 1, are pretty even. @naruball Fair enough it's probably not enough by itself, but when can add this to the financial success of games like Resi 7 and Alien Isolation, there is strong evidence that there is a demand out there for survival horror. For Resi 2 I'm sure nostalgia played a part, but not for a number of people who have never played the original myself included. And even if it is due to nostalgia, it's still appreciation for a game of the survival horror genre, and proves there are potential customers for it. ...wait, Resident Evil 2 isn't a PlayStation4 exclusive? Given how PushSquare has been heavily promoting and discussing the remake, I just assumed it was. @JAMes-BroWWWn there's still a big lead for PS4, 6+ million (could be close to 7) as opposed to under 5 million for XB1 (could be close to 4, then we're comparing about 4 million to about 7 million. Also as I said, just cos they've sold, doesn't mean people still have them and didn't trade them in a while ago. @Matroska There is no "big" leap between PS4 and Xbox One in UK. PS4 has around 6 millions hardware units sold and Xbox around 5 millions. That‘s not big at all. UK is literally the only market, in EU, where Xbox has relevance. Other regions have really big leaps between those 2 consoles. UK does not. Here is the link to the sales reveal. @RogerRoger Did you ever watch a add on TV from Microsoft its like they are exclusive. @Flaming_Kaiser Ah, television. That'll be the thing I haven't watched in almost... blimey, seven years now! @Flaming_Kaiser If they haven't been on PushSquare, I won't have seen them. This is the only place I visit!